Welcome to the WLJNL! Home of competitive junior netball in the West London area since 2005! 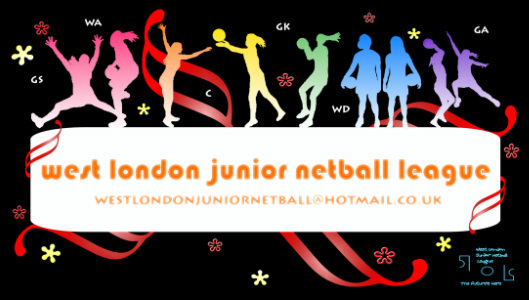 Welcome to the home of the West London Junior Netball League (WLJNL). Here you can find up to date news and information about the league, find clubs that cater for junior netball players in your area, find out about the people who help run the league, and more. Please bear with us while we get this website up and running ready for the upcoming 2011-2012 season. The final standings for the tournament can now be found under the fixtures and results section. A big thank you to everyone involved and we look forward to seeing you all again next season. We are now taking entries for the WLJNL tournament on Sunday May 20 at Reynolds Sports Centre. Entry is free to teams already playing in the league (£20 returnable cheque required to secure place), £20 for new High 5 teams and £30 for new U12-U16 teams. If you are interested in joining the committee then please get in touch via the website's Contact Us page. Thank you to everyone who bought raffle tickets, made donations and bought from the cake stall at our Pink October event. We raised £111.19 which will be split between WLJNL and Cancer Research UK. If you have any queries or are interested in joining next season then please get in touch with us via the contact form. 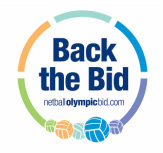 Show your support in getting netball on to the Olympic Programme. Between the ages of 12 and 25 years old? Actively involved with netball as a volunteer coach, official, team helper, committee member or more...? Get rewarded with England Netball's Pass on Your Passion scheme. Click on the logo to find out more.